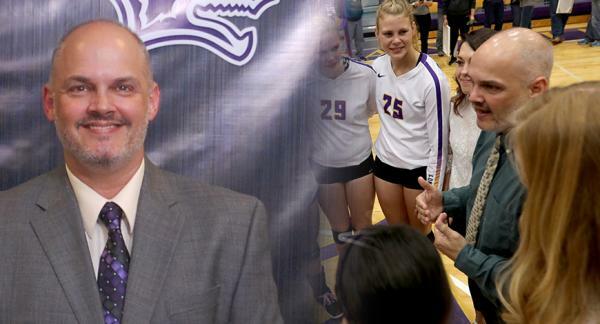 Kansas Wesleyan University volleyball coach Fred Aubuchon has resigned to take the head coach position at Northwestern Oklahoma State University, an NCAA Division II institution in Alva, Okla., as announced by director of athletics and vice president Mike Hermann. Aubuchon spent the last ten seasons at Kansas Wesleyan, compiling a 219-150 record overall and a 133-51 record in conference play. He is KWU’s all-time wins leader for the volleyball program. He led the team to KCAC regular season championships in 2011, 2013, 2014 and 2017. Under his leadership, the Coyotes also won conference tournament championships in 2011 and 2014. The 2011 team was the first KCAC team to advance to the NAIA National Championship Final Site since direct qualification for the NAIA National Championships began in 2008, defeating Oklahoma Baptist in a five-set thriller to advance to Sioux City that season. Aubuchon was named KCAC Coach of the Year three times (2011, 2013, 2014) and AVCA Regional Coach of the Year in 2011. During his time at KWU he coached 44 All-KCAC selections which includes 20 first-team selections. Five times players were selected to conference individual honors. He also coached 11 AVCA All-Region selections and five NAIA All-Americans, including Shaelyn Martin’s third-team selection in 2018. Aubuchon’s teams also excelled academically. The program had 56 Daktronics-NAIA Scholar-Athlete and six CoSIDA Academic All-District selections during his time at Kansas Wesleyan. In 2012, Sydnie Abel became the program’s first CoSIDA Academic All-America selection. His team’s consistently led the KWU athletic department in team GPA. His teams earned nine consecutive AVCA Team Academic Awards, the fifth-longest streak in the NAIA and the longest streak by any institution at any level in the state of Kansas. Haley Thompson, who has served as an assistant coach the last two seasons will serve as interim head coach while a national search for Aubuchon’s replacement is conducted.